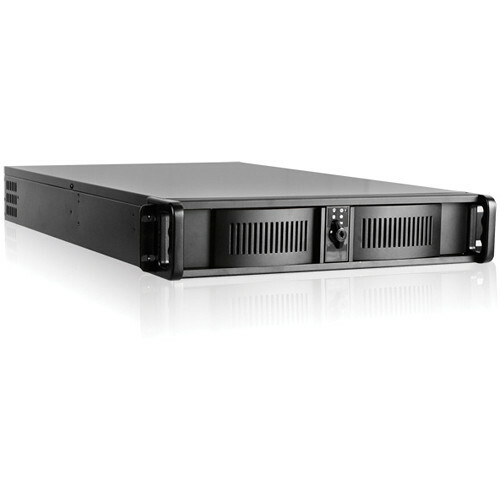 The iStar USA D-200L-FS 2U High Performance Rackmount Chassis is a compact and powerful device compatible with a standard ATX power supply that supports systems with high power needs. This high performance chassis has a total of three 3.5" drive storage bays that supports RAID configuration as well as one 5.25" drive bay space for optical or hot-swap devices. Enforced power supply cooling and CoolingFan ball-bearing fans ensure optimal performance. Additionally, the 6 low-profile backplane slots (sold separately) support additional expansion cards. External Drive Bays 1 x 3.5"
Box Dimensions (LxWxH) 37.0 x 22.0 x 9.0"